Model: It seems that more and more gaming laptops are emerging on the market these days, from budget gaming laptops and expensive premium ones, gamers are currently spoilt for choices, especially if they have a big budget to work with. 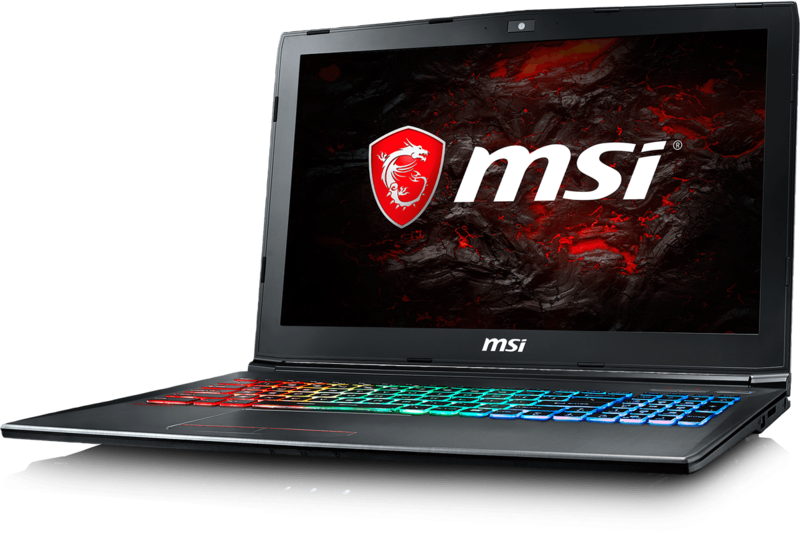 To cater to the needs of these gamers, MSI has launched a new 15.6-inch laptop in their gaming range, the MSI GF63 8RC-457XES. MSI decided to equip the new MSI GF63 8RC-457XES with one of the latest eighth generation 6-core processor, the Intel Core i7-8750H. As its description implies, this relatively new processor CPU has six cores and 12 logical cores. The extra cores will allow the CPU to boost its performance by up to 40% when compared to older processors. It also has 9 MB of cache memory, and with Intel’s Turbo Boost technology, it can clock at a frequency of 2.2 GHz to 3.9 GHz. This processor will allow users to do heavy processing tasks like 3D rendering, heavy video and image editing, and run some computational programs. As this was marketed and targeted at the gaming community, the MSI GF63 8RC-457XES comes with an Nvidia GTX 1050 graphics card that has its own built-in 4 GB of GDDR5 RAM. This may not be the best Nvidia card for the professional gamer, but seeing that this is a portable computer and not a desktop, it will be sufficient. Gamers will have no problem running new game titles at medium to high settings. Those who are feeling adventurers may even try it at ultra-high settings. Its matte-finished 1,920 x 1,080 pixels IPS Full HD screen is also a display that gamers will appreciate. Gamers will also like the 512 GB SSD that MSI has included with the new MSI GF63 8RC-457XES. Unlike traditional hard disk drives, this will definitely load and run the games faster. To complement the hardware, the laptop is also equipped with 8 GB of DDR4 RAM, and the user will have the option to upgrade it until the maximum of 32 GB. Connectivity-wise, this laptop has more than enough ports to satisfy most users. It comes with one USB Type-C port, three USB 3.1 ports, one microphone jack, one headphone jack, one HDMI output, one LAN port and a dual-band WiFi plus Bluetooth 5 combo. There is also a web camera for video conferencing or even basic video streaming. Other points that we like about the new MSI GF63 8RC-457XES is the backlit keyboard, the thin bezels on the display, and the purported 7-hours of battery life. Measuring at 21.7 x 359 x 254 mm and weighing about 1.9 kg, MSI’s new gaming laptop is powerful and relatively lightweight enough that it should be one of the laptops that gamers should keep in mind when shopping for a new portable rig.